A strong historical and contemporary case can be made that religion, at least in some forms, can have powerful economic effects. What’s less well established in the literature, however, is how religious freedom specifically affects the religion-economics linkage. How might the causal dynamics linking religious liberty to economic development actually work, and what kinds of evidence would be needed verify such mechanisms? 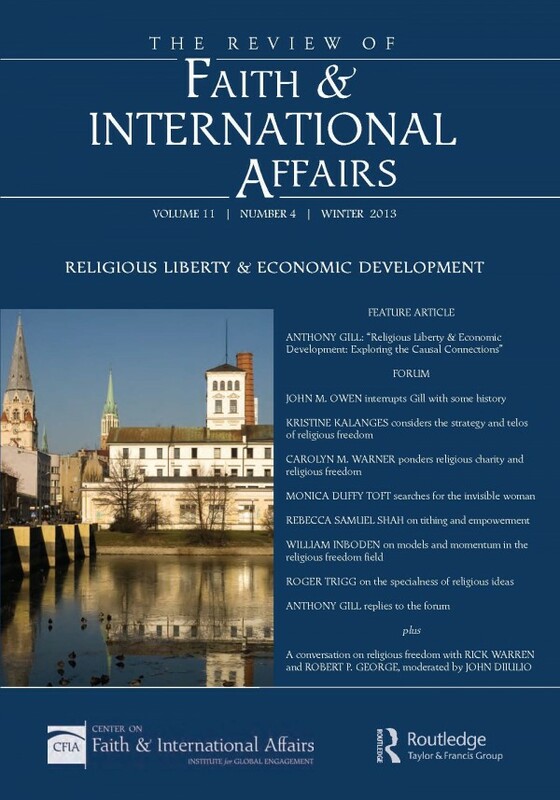 The winter 2013 issue of The Review of Faith & International Affairs is a theme issue devoted to these questions. It features a path-breaking article by Anthony Gill and a forum of response essays by a diverse group of expert commentators.